Busses drop students off at Montpelier High School. There will be a number of activities for students to engage in, such as making signs for the march, face painting, and participating in various art projects. Vermont youth and their allies march in solidarity to the Statehouse lawn. 11:00am – 11:30am – Speak Out! Students will listen to young performers and speakers share their thoughts on climate change. 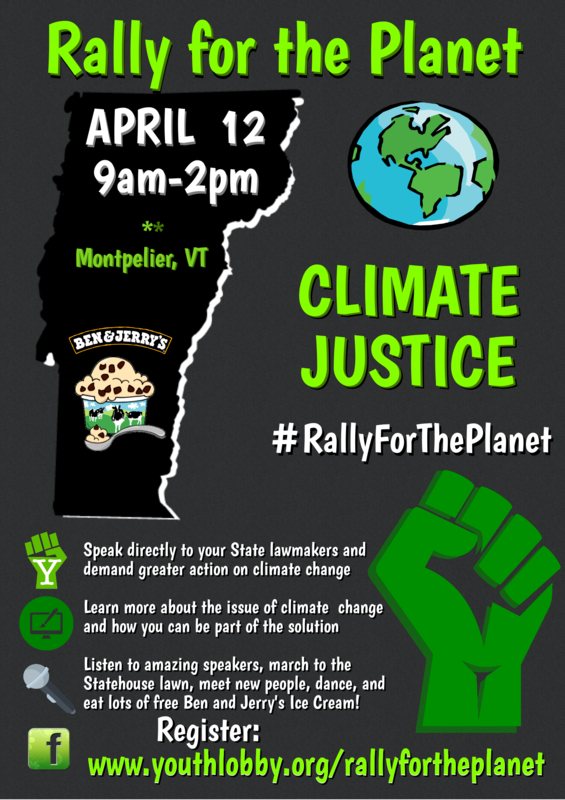 Learn more about solutions to climate change and proposed legislation, get ready to speak with your lawmakers, and groove to some sweet vibes from Televici, a band of students from Montpelier High School and U32. Speak directly with your local lawmakers on climate change and/or other important issues. This is also the time to eat lunch (we ask everybody to bring their own lunch) or get ice cream. There will also be a number of activities to participate in on the lawn. Students will hear some closing thoughts from our keynote speakers. As Televici plays on, students will have the opportunity to continue visiting the tables and booths and/or engage with students from other schools in a dialogue about how to follow up on our rally. We are asking school busses to drop off students at Montpelier High School between 8:30am and 10am. After dropping off students, bus drivers can find ample parking either in the front parking lot at Montpelier High School (the dirt parking lot) or at the State of Vermont Department of Labor Parking Lot (see map below). Parking for cars is available in many locations throughout Montpelier, but there are no ‘official’ parking lots for this event. You may also use the State of Vermont Department of Labor Parking Lot if you’d like. After students are dropped off at MHS, they can stop by the VT Youth Lobby table for more information about the day’s events. They can also engage in a number of activities, including sign making, face-painting, tattoos, etc. The march from the Montpelier High School to the Statehouse Lawn will begin promptly at 10:00. All marchers are required to stay in one lane of the road and obey all instructions given by the event marshals. Please share with your students how special this event is and remind them to be respectful at all times. All normal school rules apply. Please remind students this is a rally, not a protest. We are encouraging all students to be positive and productive, and to engage at all times in respectful dialogue and civil discourse. Please encourage students to dress up for the event and look professional. Please remind students the event is on the Statehouse lawn and we are asking all students to stay on the Statehouse lawn and to refrain from walking downtown. Check out our Supported Legislation/Signs/Chants Document for specific suggestions on legislation we support, possible language for signs, and chants. While there will be some supplies and an opportunity to create banners and signs from 9am-10am at Montpelier High School, we are highly recommending that schools create most of their signs ahead of time. Try hosting a Sign-Making party at your school! We are also asking each school to create a large banner identifying the school they are from. We support the Essex Plan to put a price on carbon pollution and the recommendation made by the Governors climate commission to conduct a feasibility research study on a carbon pollution tax. We support legislation that would ban all new fossil fuel infrastructure in the state of Vermont. We support spending 85% of the Volkswagen ‘clean’ diesel settlement on electric school buses. Your photos will be gathered together to form a large collage we hope to hang in the Statehouse cafeteria for a few weeks after the rally. The purpose is to remind VT lawmakers not to ignore the opinions of their youngest citizens. There will be a number of tables where students can learn more about climate change, energy alternatives, and proposed climate change legislation. **New this year will be an area for school clubs to set up tables informing participants about issue they are taking action on, other than climate change. If your school group would like to have a table at the event, please send a quick email to mhenchen@wwsu.org. Also be sure to stop by and check out the Youth Lobby Table to pick up some sweet Youth Lobby tattoos, buttons, and stickers!!! In order to reduce the lines, students will have to work for their ice cream this year. We ask that every student participate in the #WeRally Sign Holding Project to earn a ticket they can use to pick up their free Ben and Jerry’s Ice Cream. No ticket, no ice cream! If you check out the agenda you’ll see that there is some time set aside during the lunch hour for students to meet with their elected officials on the lawn. This can be a real challenge to organize and this year we are asking schools to take a more active role in planning a meeting with their legislators. This year we plan on having a special area set aside where student lobbying can take place. We will also have a schedule and a map that will identify when and where a particular legislator will be available for conversation. It will be the school’s responsibility to go to the designated area at the designated time to engage in your civil discourse. If you are interested in a more advanced level of lobbying inside the Statehouse or possibly even formally testifying, please email Nic Wahlers (nwahlers@vpirg.org) – he will help coordinate that opportunity. Students to do not need to know everything about a particular piece legislation to have a great conversation with their lawmakers. However, they should know enough about the legislation that they understand what the legislator is talking about. If students have not had the time to study the legislation, please encourage them to ask their lawmakers to explain the legislation to them and discuss how they feel about it. Students who have not studied legislation in-depth should be encouraged to listen more and speak less. If you do have a group of students who have studied the legislation in-depth and have strong opinions either way, they should be encouraged to share their opinions with their legislators, but to do so in a respectful, non-adversarial manner. We are there to talk and listen – not to attack! DON’T BE AFRAID TO ASK QUESTIONS- about the legislation or their stance on issues your students care about. Asking a question can sometimes be more powerful than stating facts! Nic Wahlers, from VPIRG (the state’s largest non-profit environmental advocacy organization) and also a member of the Youth Lobby Day’s Planning Committee will be lending a hand to the advocacy efforts of YLD attendees and is offering this youth lobbying guide that we hope you’ll find helpful. Feel free to reach out to Nic with any questions or concerns regarding the attached guide or lobbying on April 12th. We are asking busses to pick up students on the side of the Statehouse between 1:15pm and 2:00pm. Schools from further away will need to leave earlier than others, so if you can pick up your students later that would be very helpful. Earlier pickup is also possible, though you may miss out on our keynote speakers. ***Please email me at mhenchen@wwsu.org to let me know what time you would like to pick up your students (1:15pm, 1:30pm, 1:45pm or 2:00pm). On Thursday April 12th, 2018 the Vermont Youth Lobby (a youth voice organization of students and teachers from several Vermont schools) is organizing a Youth Lobby Day. 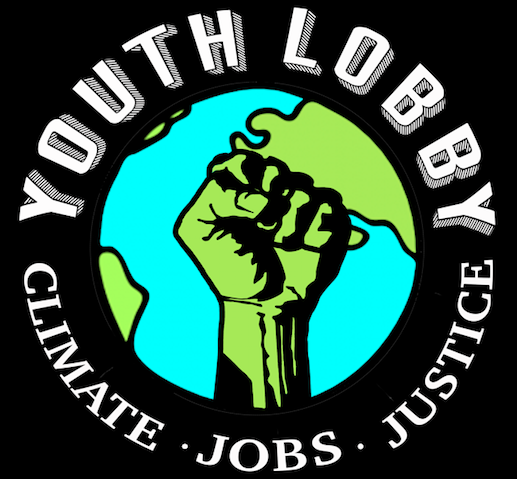 The purpose of the Youth Lobby Day is to provide students with the opportunity to speak with their local lawmakers on the topic of climate change and to push for greater legislative action to address this important issue. Students from around Vermont will learn more about legislation that positively addresses climate change, listen to a variety of speakers and performers, and visit informational tables and booths. 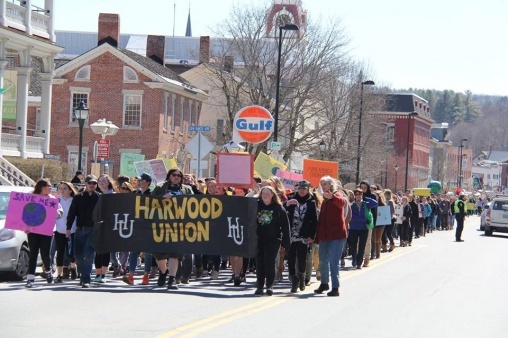 Students will also have the opportunity to march from Montpelier High School to the Statehouse Lawn as a show of their collective student voice. The [insert your club here] is organizing a field trip to take part in this event. In the interest of expanding support for these issues, we would like to invite all interested 7-12th grade students to attend. Student Name________________________________________________ has my permission to attend the Youth Lobby – Rally for the Planet on Thursday, April 12th. Please complete this permission form and return it to [Insert your info here]. If you turn in your permission form after this date, there is a chance you will not be able to attend the rally. If you would like to help chaperone this event please print your name, email and phone number. 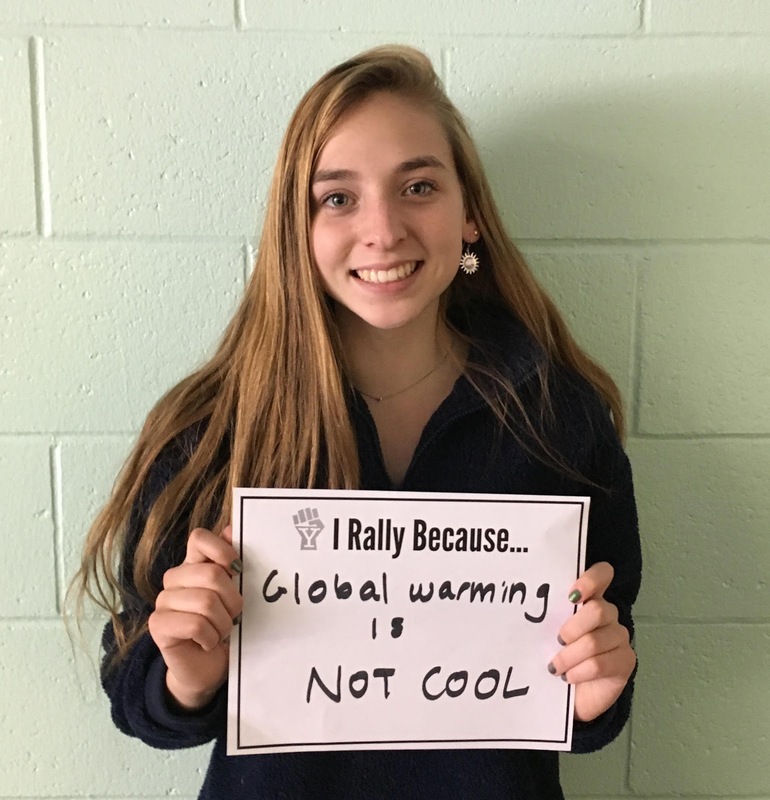 Learn more about solutions to climate change and proposed legislation, get ready to speak with your lawmakers, and groove to some sweet vibes from Televici, a band of students from Montpelier High School. ← Proteins – It’s Not Just For Dinner!